Amid new leadership and a pending class-action lawsuit, big changes at Fannie Mae and Freddie Mac appear to be close at hand. 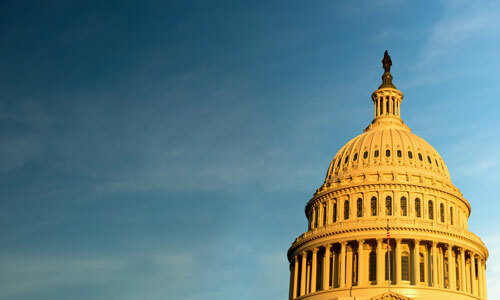 The question now for U.S. lawmakers and stakeholders in the mortgage industry is how to carry out reforms to these two vital institutions — which are being called for from both sides of the political aisle — without disrupting the U.S. housing market. In one of the first detailed proposals to come out since White House and congressional staff first began seriously discussing the prospect of reform at Fannie and Freddie, the National Association of Realtors released a roadmap for its “vision” on how the process should play out. The 33-page report was released and discussed at NAR’s Housing Finance Reform Policy Forum in Washington, D.C. on Feb. 7. As explained in the roadmap’s executive summary, the association is advising members of Congress and the Federal Housing Finance Agency to pursue a plan to privatize Fannie and Freddie, but restructure and regulate them as if they were “systemically important” financial institutions, akin to utility providers. As the report explains in great detail, the operations of these two federally chartered corporations have long been held back by unclear regulatory oversight. Before the 2008 financial crisis, Fannie and Freddie sought to maximize short-term profits by trading bonds comprised of excessively risky mortgages. Once the housing market and the broader U.S. economy faltered — in part because of the failure of those high-risk mortgages, often doled out to borrowers who could not afford them — regulation of Fannie and Freddie swung to the opposite extreme, in NAR’s view. The two organizations were essentially nationalized, with the federal government buying controlling stakes in each and mandating that all profits be swept into the U.S. Treasury, rather than to private shareholders. This status of conservatorship is the subject of a lawsuit brought by minority shareholders in the two firms who, along with current Treasury Department officials, argue that the arrangement is unconstitutional. Fannie and Freddie shareholders have little to no control in the operations of the firms, unlike at other publicly traded companies. NAR also points out that this conservatorship status means that, in the event of another crisis, U.S. taxpayers would effectively be responsible for losses sustained by Fannie and Freddie. The NAR report aligns with the general consensus that this post-crisis takeover of Fannie and Freddie brought stability to the U.S. housing market, and that both institutions continue to support the affordability and availability of mortgage credit today. However, NAR argues that the current ownership structure lacks clarity and a mechanism for accountability. By designating Fannie and Freddie as federally chartered financial utilities, the firms would enjoy greater access to shareholder capital while still being subject to strict oversight from regulators. The ownership structure proposed by NAR isn’t entirely unprecedented. The report proposes classifying Fannie and Freddie as “Systemically Important Mortgage Market Utilities,” modeled after the Systemically Important Financial Market Utilities (SIFMUs) that were established under the 2010 Dodd-Frank Act. SIFMUs include companies that operate interbank payment systems, futures exchanges like the Chicago Mercantile Exchange, and other critical components of the U.S. financial system. Like Fannie and Freddie, each SIFMU has its roots in a privately owned company that eventually grew to encompass something of national, even global, importance. NAR proposes classifying and regulating Fannie and Freddie in a manner similar to SIFMUs: as closely regulated companies that are only insured by the U.S. government, not owned by it. Of course, the NAR’s proposal is still just a recommendation for Congress and the FHFA, with the final decision likely far off. The full text of the report can be found here.